For part 3 of my How to Wear Overalls Series (part 1 || part 2), I’m sharing a dressier option that’s not TOO dressy! I wore a similar look last week that featured a sequined jacket. Without the jacket, this look is still chic and perfect for a laid back night out. This top was one of my favorite fall purchases that I still wear frequently. It’s such a great top to dress up or down and it goes with EVERYTHING. I recently got this version which will be perfect for warmer temps this spring and summer and would work just as well paired with overalls! Recreate this look with any blouse, heeled sandals and fun clutch! Do you know anyone who can make casual so chic? We love love this outfit from the layering down to the lace up shoes! This girl has got some major style! Sooo chic – Have a great weekend ahead! You look amazing in these overalls. Perfect look! I love your overalls! I'm not a fan of overalls on adults, but girl you slay in that outfit! Not gonna lie – I love overalls! I have a pair of overall shorts that I practically live in when the weather gets warmer. I love how you styled these. I am so obsessed with how classic this look is. You've totally convinced me that I need a pair of overalls! I love this look! I've been debating on getting overalls, but I'm not sure if I can pull them off! Ok…now you are just gorgeous and giving these overalls so many fabulous looks! I need this pair! I'm so mad overalls came back and I don't have a pair on hand. A couple years ago I got made fun of for wearing them! I'll always love them though. LOVE! I love the tailored style of your overalls, it gives them that chic look. Cute look! I would love to have a purse like that! How have I never been to your blog before?! 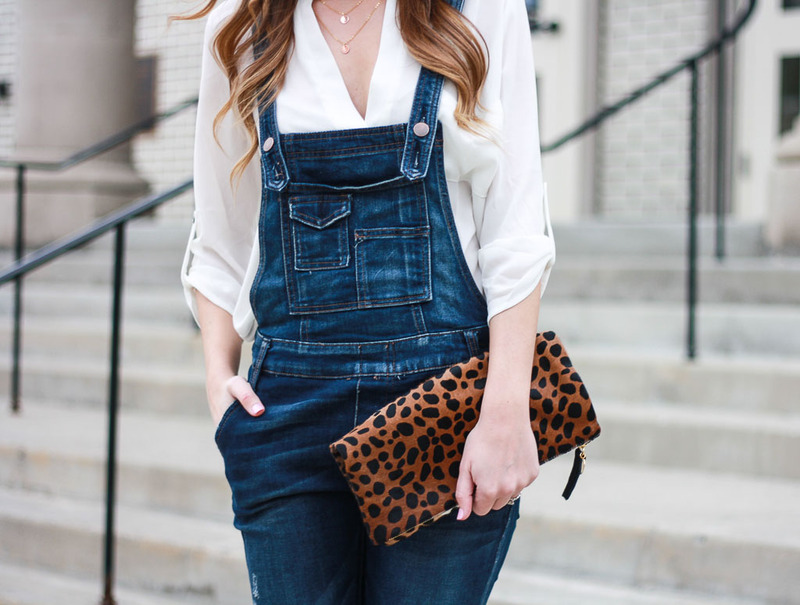 Dying over how chic you look in these overalls! Pretty sure I need to recreate this. 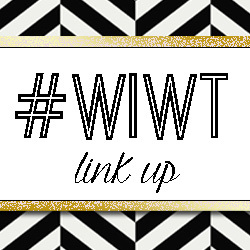 Just joined the link up for the first time and followed you on socials. Yay for new blog friends! I just cannot get back on board with the overall trend…. 😉 But the way that you styled them is definitely my favorite way that I've seen them!! Love your shoes! Always nice to see beautiful woman! Keep it up! You look so chic. I love your outfit! I absolutely love your overalls! They are so flattering on you and those heels are amazing!! You're the cutest and you kill the overall trend! 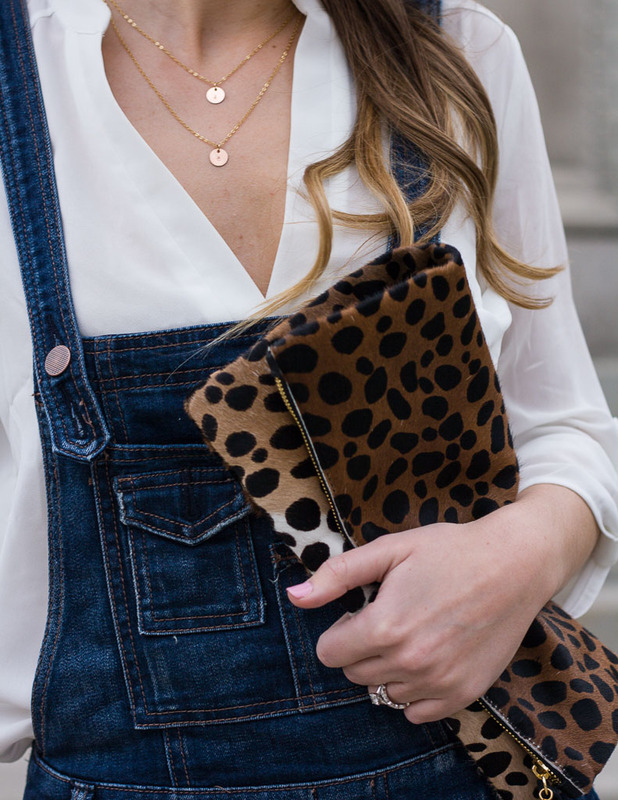 So incredibly chic, you always seem to have the best outfits! Love this look and you're rockin' it…not sure if I can pull it off though ;). These are so cute. I love the overalls rolled up with heels. It really dresses it up! 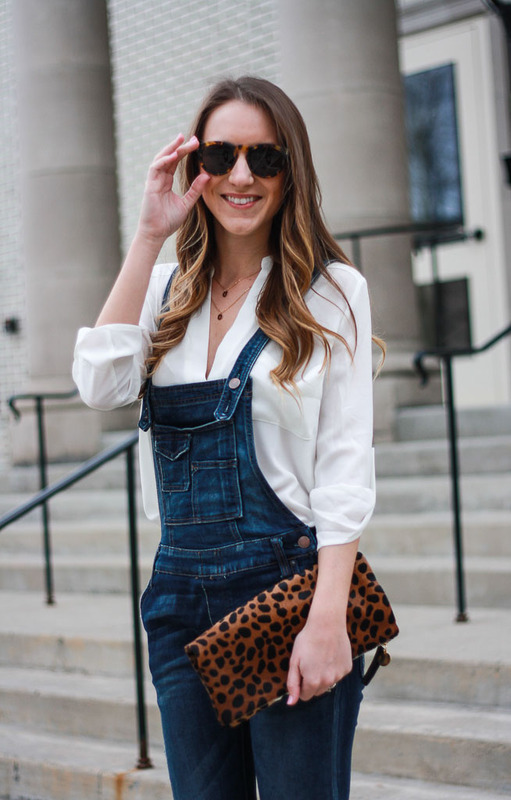 Your overalls are so cute…I love your sunnies too! My fav is that leopard clutch..to die for! What!! This is so freakin cute! I love it! Wondering if I would be able to pull this off or not! Oh my goodness! I love this entire look from head to toe. The white shirt is classic and beautiful. I like the way it's casually paired up with overalls. Your gold necklaces and shoes are fabulous too. You're killing the game. Another great look that's right on point! You are just too cute in this! I really need to get some overalls! 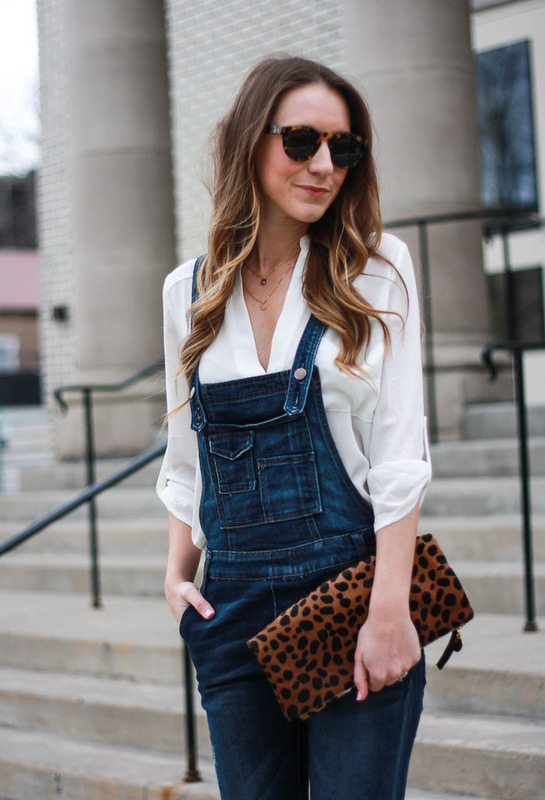 Such a nice take on overalls! I love blouse-y tops like that; they always dress up or down so nicely. I really love your overall outfit with the striped top and cardigan! It's cool to see that there are so many options for the overalls trend. My goodness – you sure know how to "dress up" overalls and make them look spectacular! And that cute bag and shoes are adorable! Very cute outfit! What a perfect outfit! I'm dying for a pair of overalls! I've been dying to get a pair of overalls, but didn't really know if I could pull them off without looking totally out of place. This look is so chic and exactly what I was trying to achieve if I ever got a pair! Great post. I love how you styled this pair of overalls. This look is so cute!! This is so chic! I'm in love with this look! Gorgeous!! I love how effortless these look on you! That clutch is amazing. I would like to say thanks for this wonderful information. good written and I appreciate your work.